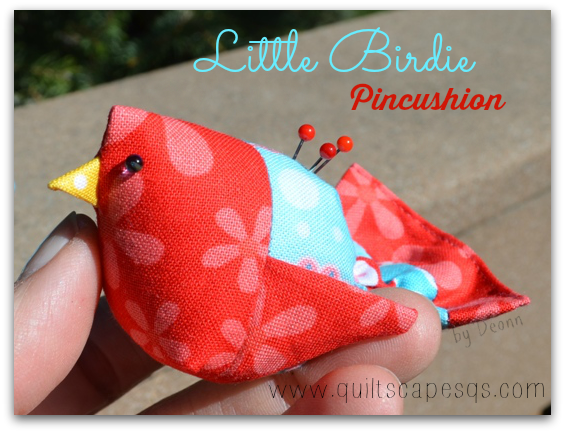 An adorable little bird pincushion pattern – perfect for your own sewing room or to make as a gift for friends. 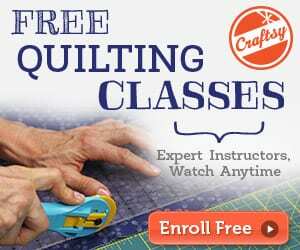 A couple of 5″ squares, a teeny scrap for the beak and a bit of stuffing or filler – that's all you need! Make it using your favorite fabric scraps or coordinated fabrics in bright and cheery colors, then add a bit of poly fil stuffing. 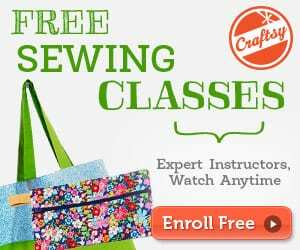 These make perfect gifts for your sewing friends and you won’t be able to stop at one. Read more about the little bird pincushion pattern here. This is so cute – pincushions or Xmas tree ornaments. If using as a pincushion, I think I’ll add an elastic band to wear on the wrist or perhaps on a finger Thanks! I have cats & think these would make cute little toys, too.